A small fix to the X5 Ghost. 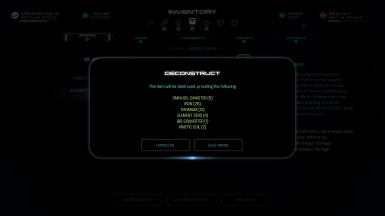 Now you can retrieve augments from deconstructing it. A big thank you to Ehamloptiran creator of the Frosty Tool Suite. Just a simple fix to the X5 Ghost. 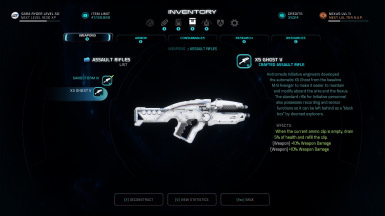 It should now let you deconstruct it and retrieve augments/crafting components. This was made using Frosty Tool Suite by Ehamloptiran. You will need the mod manager to install it. A big thank you to Ehamloptiran for making modding easier.